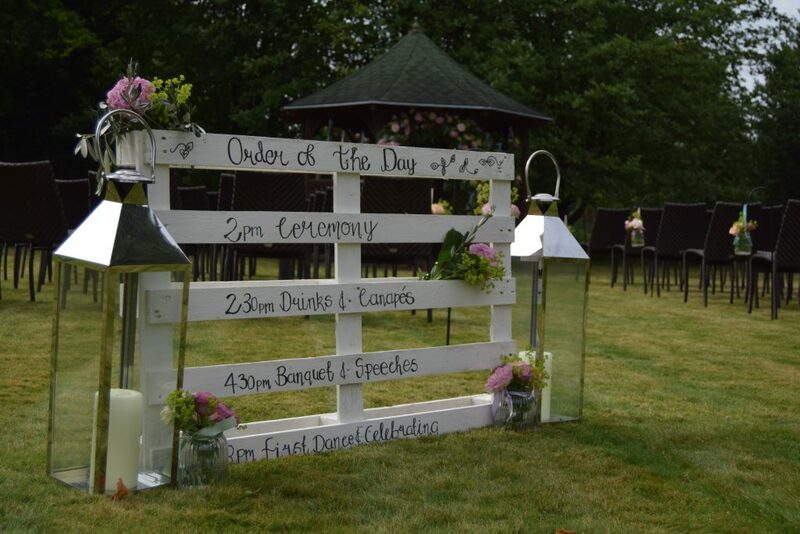 Make your welcome signage stand out by having us decorate it with appropriately themed wedding flowers. Do you love Christmas as much as we do? Would you like some Inspiration for Christmas Decorations? Preparation is the key, with the tree to decorate, gifts to buy and wrap. 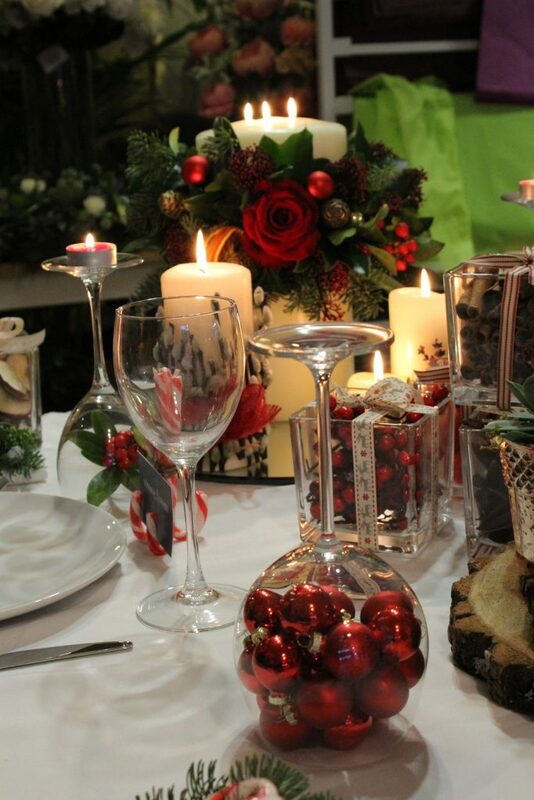 Finding that inspiration for your table centrepiece and door wreath! Christmas can be a busy time. 1pm to 4pm at our shop in Reading Town Centre (map and directions). There are dozens of different ways to style your outdoor aisle with wedding flowers, and recently we showcased a number of different options at Silchester House in order to give you ideas and inspiration when it comes to planning the floral décor at your own outdoor wedding. Large jars filled with a mixture of pink and peach roses and bright green alchemilla mollis hung with pastel coloured ribbon from shepherd’s crooks secured in to the ground. However, if you prefer to walk own the aisle with twinkly candles on either side, hanging white lanterns could be an alternative option. 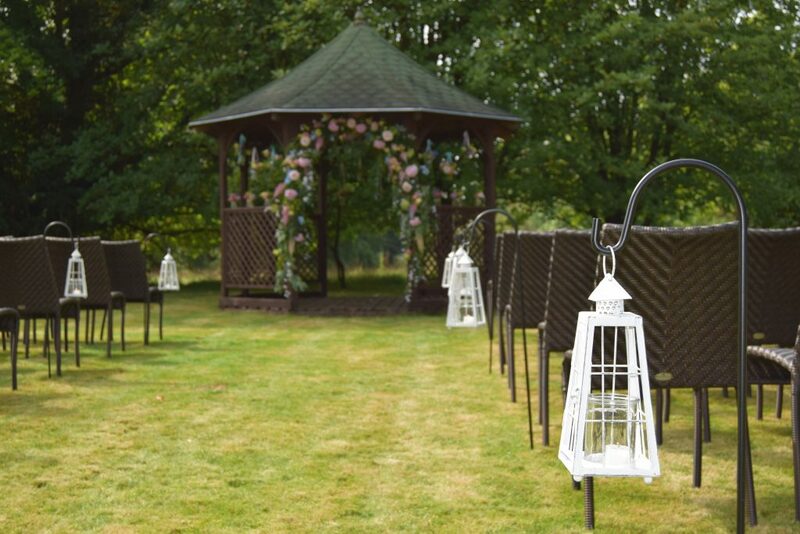 Large hurricane lantern lining the aisle are also a popular choice but to enhance the look – jars on the grass, dotted between each lantern could complete your outdoor wedding style.